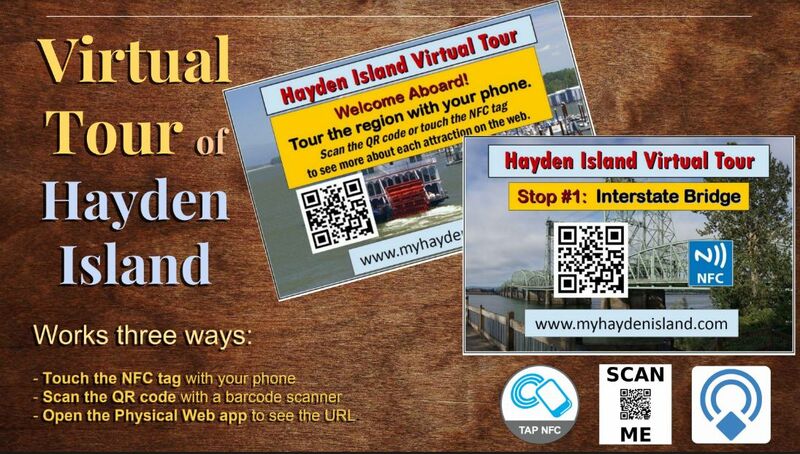 This “virtual tour” highlights the attractions around Hayden Island and the Columbia River. Some 25 different attractions are described on this website. Here is a Google Tour Map of our adventure. It works best on a desktop computer. (1) Quick Response (QR) codes. The signs have QR codes (like barcodes) that your phone’s camera can scan for the appropriate URL. No typing. On iPhone 6 up, IOS 11 has a QR code reader built into the camera app. Point the camera at the QR code and click on the link. For Android devices, a stand alone QR code app, like this one, are often required. (2) Near Field Communications. Signs also have NFC tags to eliminate typing in this URL. Your phone needs to physically touch the tag on the sign to link to this website. NFC is primarily supported by Android, but Apple’s NFC may work on iPhone 7 and above. NFC requires no external apps. Simply pressing your phone to the sign should redirect you to this website. 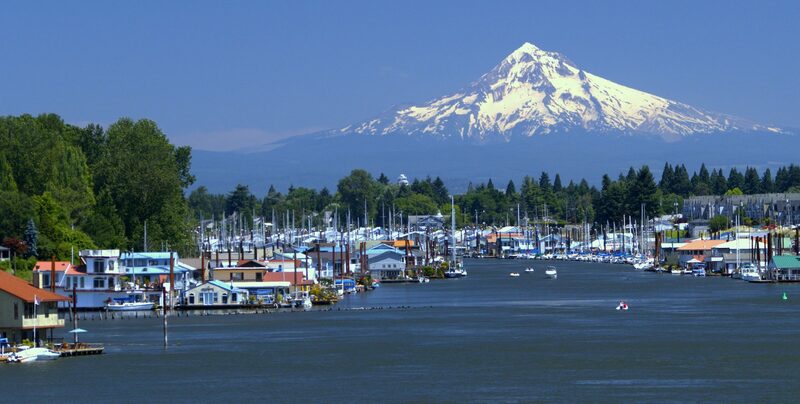 Hayden Island and the surrounding region have much to offer. Discover the people, places and things that make this area unique!